I recently posted a short little video illustrating what I do with the yuca root veggie so here is a little verbal explanation of how you can also prep a simple and delicious side meal for you and your family during any time of day. You guys can refer back to my original post about the yuca but here are some added benefits I may not have mentioned. First a little about the yuca root; which isn’t to be confused with the potato as they are slightly different and the yuca is actually a substitute for the potato. It is an excellent source of B3 to lower cholesterol and it is filled with iron and calcium. Similar to the potato is that you need to cook the yuca before you eat it and it has a higher starch content than the potato. 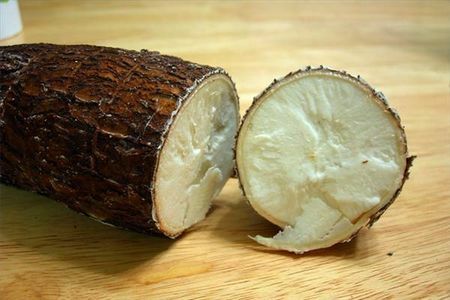 According to Share Remedies yuca also has the ability to break down or prevent the built up of calcification of kidney stones, gall bladder stones or calcification of joints. You can read about all the amazing benefits by clicking the link in the previous statement. Serve with your choice of protein, salad, or eat alone!